Lent will be here soon, it always seems to sneak up on me and them BAM, surprise- it’s that time of year again. And while I hate to admit it, it’s always a bit of a struggle for me. I didn’t grow up Catholic, but married into an Italian Catholic family and feel it’s important to teach our children those traditions. Well, both of our respective traditions, but right now we’re focusing on one in particular. Still, even having that conviction and knowing what I was marrying into and signing up for, I didn’t come to the family table with a vast array of meatless meals. I quickly found out though that I’d need at least some for the season. Thankfully, this is where Gorton’s yummy seafood products come into play. Almost like a Lenten lifeline, made specifically with me in mind! I stock up on them every time I go to Walmart, because buying Gorton’s takes the guess work out of it- whether it’s during Lent or any other time of the year. They manage to make it possible for me to fix fun, easy meals to serve my family that they’re sure to love. This applies whether it’s your first season observing, or as a seasoned cook. Even better? I can use them right away, because I often come home from the grocery store and can’t imagine cooking a meal- OR I can stick them in the freezer for that rainy day. 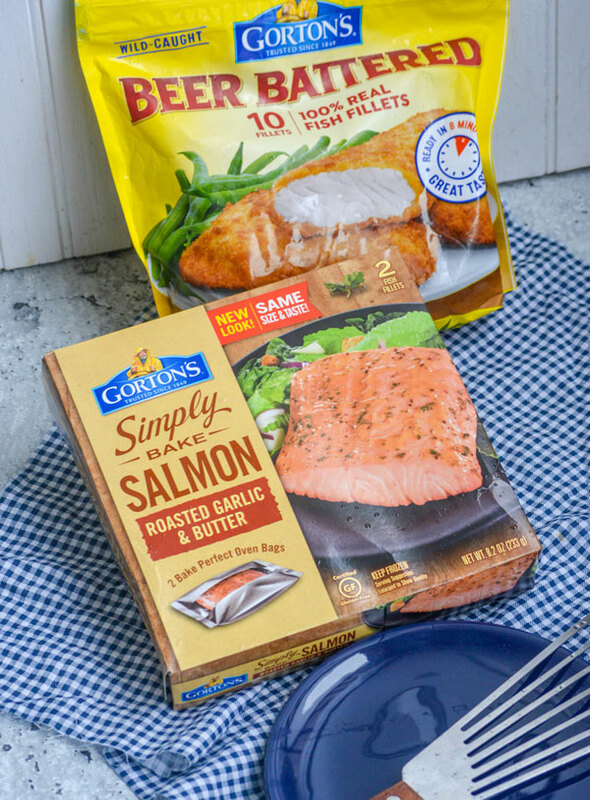 Can’t lie, I have two special favorites in my stash- specifically the Gorton’s Beer Battered Crispy Fillets & the Gorton’s Simply Bake Roasted Garlic & Butter Salmon. The Roasted Garlic & Butter Salmon is so convenient to have in the freezer. You can pop it out, put it in the oven, and in under 30 minutes have a chef-inspired entree featuring high quality ingredients. Gorton’s Beer Battered Crispy Fillets kinda speak for themselves. Bake them on a pan with your favorite fries for a convenient fish and chips dinner that you can feel good about serving. 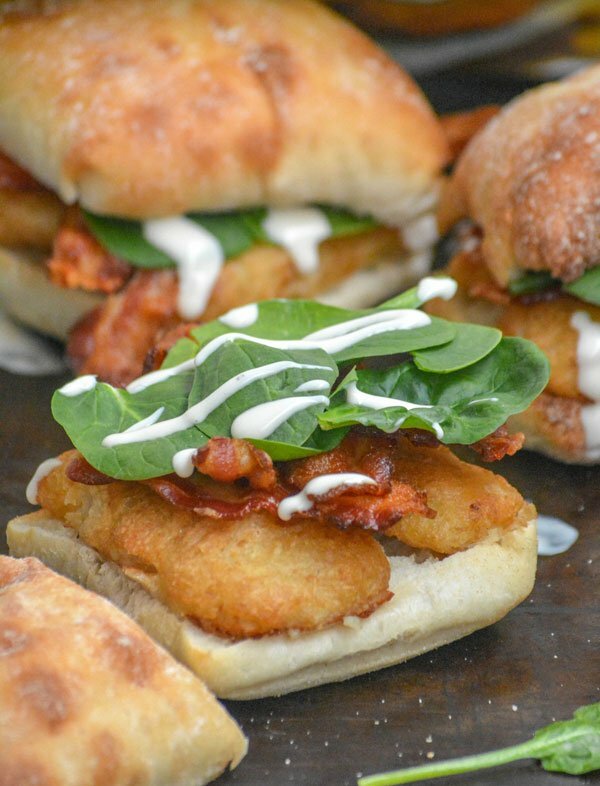 Ok, so my favorite way to use them (my secret recipe) is to make our family favorite, scrumptious Popeye Sandwich! My kids love it. 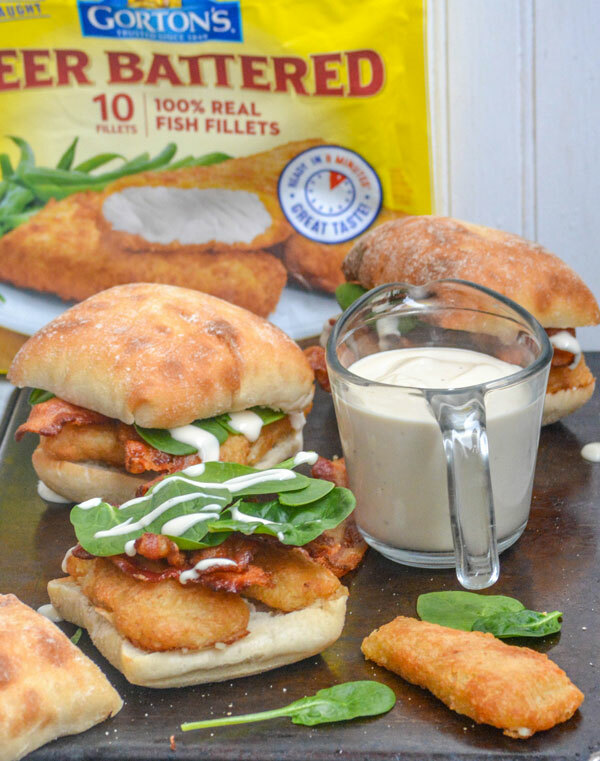 Featuring Gorton’s Beer Battered Crispy Fillets, it’s a filling meal all by itself. 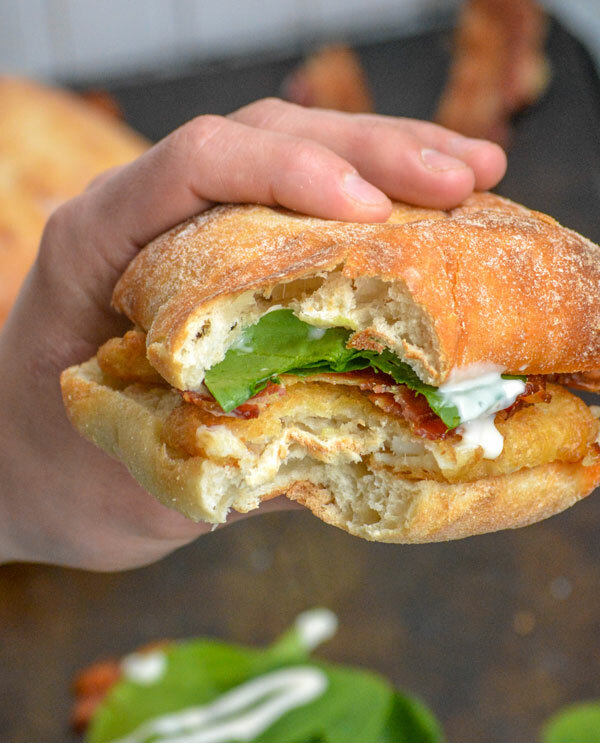 Top a ciabatta bun with two crispy beer battered Gorton’s fillets. Add to that several pieces of thick, crisp, smoked bacon. Top that with a healthy handful of fresh spinach leaves, and a generous drizzle of alfredo sauce. 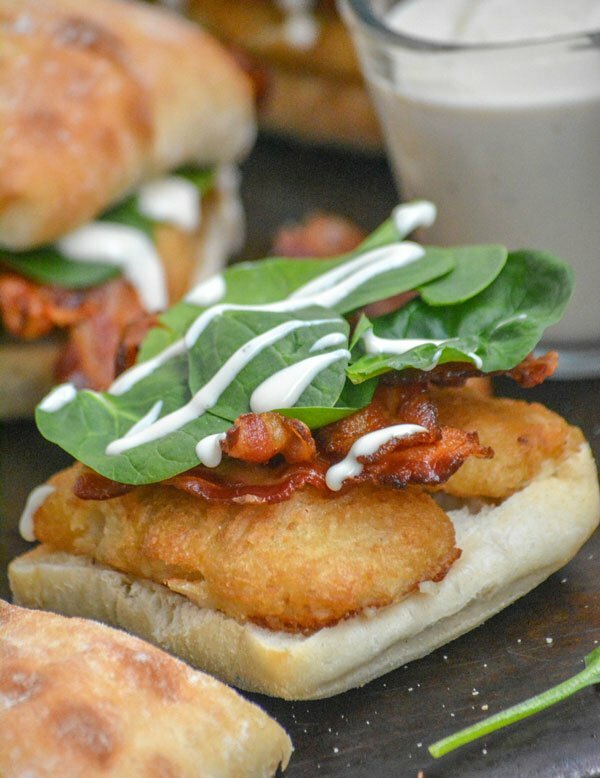 These Bacon Alfredo Spinach Beer Battered Fish Fillet Sandwiches are super delicious. And (with the bacon being optional to help you comply during Lent) will be a new family fav during the Lenten season and throughout the year. 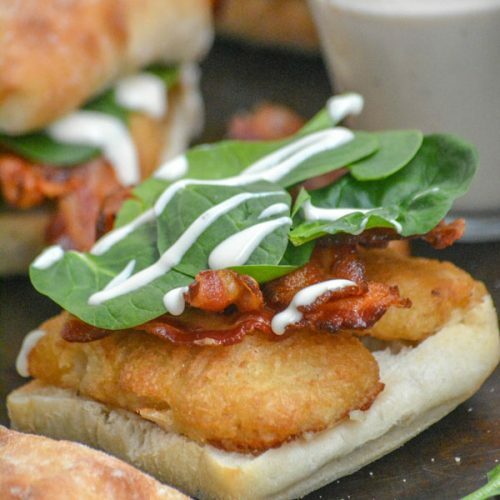 Also, if you’re struggling to get your kids to branch out and try new things, just call them ‘The Popeye Sandwiches’. Trust me, it works wonders! 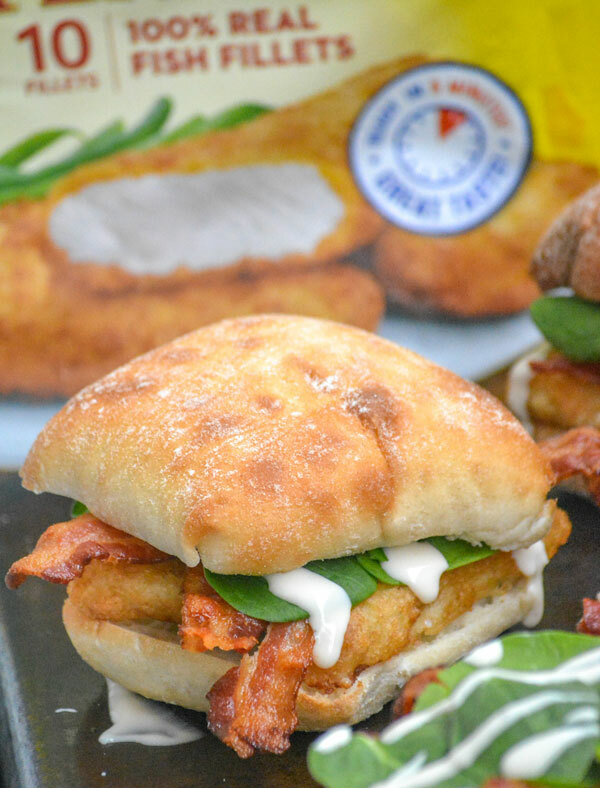 A yummy fish sandwich, this 'Popeye' version as my kids have dubbed it is topped with crispy strips of bacon, fresh baby spinach leaves, and a creamy drizzle of Alfredo sauce all on a fresh ciabatta bun. Separate your ciabatta buns in half. Top each bottom with two of the fish fillets. Add 3 strips of crispy bacon. Spread out about 1/4 cup of spinach leaves evenly over top. Drizzle with a generous tablespoon of sauce. Repeat for all sandwiches, and top with the corresponding bun. Serve immediately, and enjoy! Whether you’re preparing for Lent, or you’re just looking for a quick & easy dinner solution- Gorton’s is where it’s at. 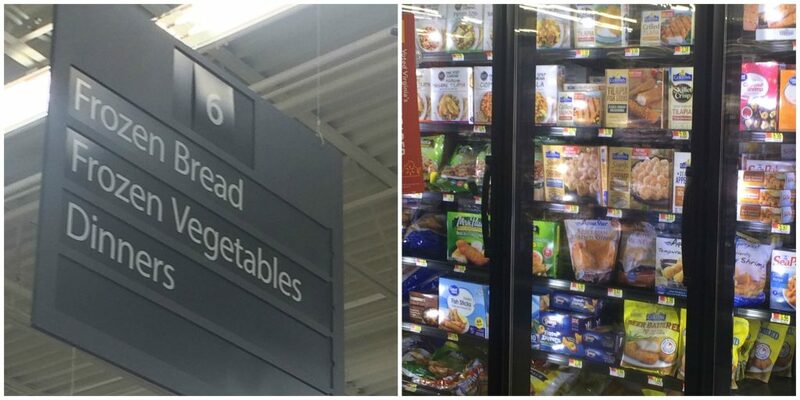 Make sure to stock up next time you’re at your local Walmart. You won’t regret it!